Government figures show that the number of students with SEN in England stands at well over 1.2 million, including more than 235,000 (about 2.8 per cent of the student population) who have Statements of SEN or a new Education, Health and Care Plan. Meanwhile, statistics from the Disabled Living Foundation show that there are 770,000 disabled children under the age of 16 in the UK – equating to one in 20 children. These figures bring home the fact that buildings for education are required to meet a huge list of requirements, something which is increasingly important to be aware of as schools face growing demand for places in line with the rising school population and rising government targets. Pressure is on, constantly, for schools to deliver enriching, flexible spaces that appropriately meet diverse pupil needs. And whether a school is seeking to boost provision for its SEN pupils or is a dedicated SEN campus, special needs require additional (sometimes complex) considerations. The first thing schools need to do is research. As is probably expected, there are rules and regulations, standards to be met and a wide spectrum of needs to be considered. There can be no hard and fast rules for what an SEN build requires, because it will no doubt have to meet a huge and diverse array of needs and every project will be different. Within your school you must ensure that there is a clear project plan from the outset, which means assigning appropriate roles and responsibilities (consideration needs to be given here as to who has final say on budgets and specification). It is also crucial that all aims and objectives are set out early on. This means generating a basic list of requirements in line with the knowledge you have of your school’s expenditure, pupil split and their accompanying needs. Local authority officers, SEN and disability building or children’s services. Health professionals, therapists and relevant professional bodies. This process of inclusive consultation will limit opportunity for challenges and pitfalls as the project develops. The appropriate input at this stage ensures that the final result is a building or space that fulfils all relevant needs. This is the obvious but significant consideration, especially if your space is planned as a flexible or multi-use room/building. Children need the room to participate in solo and group activities that may include them using walking aids, wheelchairs and more. This can be addressed through a variety of features from ramps and low-level thresholds for wheelchairs and/or buggies, to adjusted doorways. While accessibility is a requirement, it is important to try and address it in a way that offers pupils the opportunity to be as comfortable, confident and independent as possible. Ideally, those pupils that are able to should be able to use as many of the facilities as possible without assistance (naturally this depends on the complexity of their needs). This is addressed with multi-height handrails/supports, low-level storage and multi-level door and cupboard handles. This retains a sense of inclusivity for all pupils, no matter what age or learning level. How the building “feels” and functions – as well as how it looks – is hugely important. An SEN build might need to adapt several times in a single day to fit to pupils’ individual needs, so your building should take into account sensory as well as practical elements. In line with this priority, you should consider the impact of elements such as lighting and acoustics on pupils with particular sensitivities. Bespoke features can aid this, such as glare-free or remote controlled lighting and sound-proofing to eliminate exterior or neighbouring room noise. Flooring, too, is a primary way in which buildings can meet evolving requirements and deliver against these sensory challenges. Changes in flooring type can be used to create “zones”, outlining separate areas and learning environments for differing uses. This zoning can include indoor and outdoor spaces making sure ramped and stepped spaces are clear. There are also a number of options for textured flooring types to aid this transition from one zone into another, making it clear if a space is for messy play or quiet time and so on. However, attention must be paid to avoid too much pattern or high shine flooring, as this can cause confusion for pupils with visual impairments (as mentioned in the Building Bulletin 102 advice). Consider heating and ventilation in this section of your plans too. Bear in mind that some pupils may not be able to communicate their needs, so intelligent heating and lighting options can address multiple challenges effectively, keeping rooms at comfortable temperatures and ensuring you minimise glare or excessive brightness. 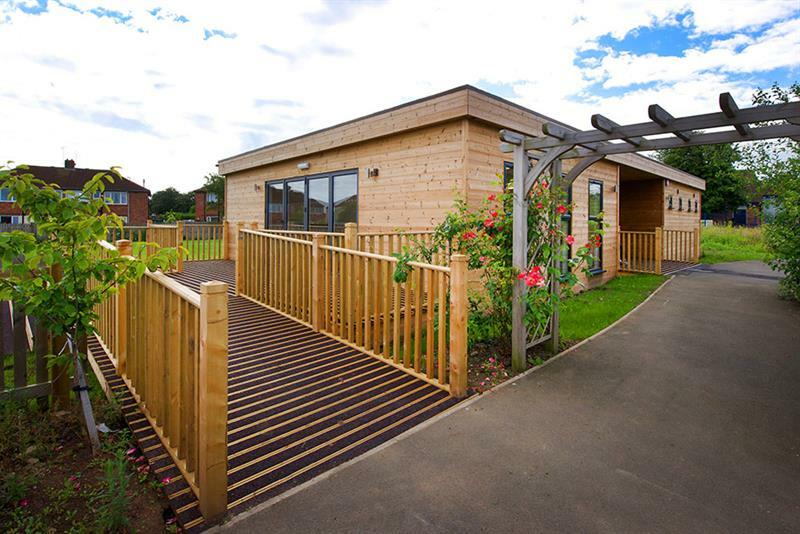 Many of these are not restricted to SEN builds, rather schools in general, but it is worth considering at length any small features which can be specified to maximise the use and flexibility of the space to suit wide-ranging needs. These range from slip resistant flooring and accessible storage options to the inclusion of specialist bathroom facilities. Another consideration is the ease with which children can access outdoor spaces and activities. Use of bi-fold doors, canopies and sliding walls can ensure accessibility and increased functionality for pupils. When considering overall layout and design, it is important that weight-bearing and structural reinforcements are considered when the use of hoists, wall-mounted handles and grab rails may be necessary. Ultimately, there are numerous ways in which a project can be tailored to meet an array of SEN specifications. Schools are encouraged to look into funding options too, as improvements or new builds (especially those that meet increasing environmental standards) could be eligible for various forms of funding. Many schools look to the Building Research Establishment’s Environmental Assessment Method (BREEAM) to ensure the buildings they are seeking to construct are created using the highest standards of sustainability and environmental care. BREEAM measures sustainable value through a number of categories, which are assessed at various stages and, ultimately, an overall rating is awarded to the project. Designing for Disabled Children and Children with Special Educational Needs: Guidance for mainstream and special schools (Building Bulletin 102), Education Funding Agency, March 2014: http://bit.ly/2iLjDdV (originally published by the former DCSF).